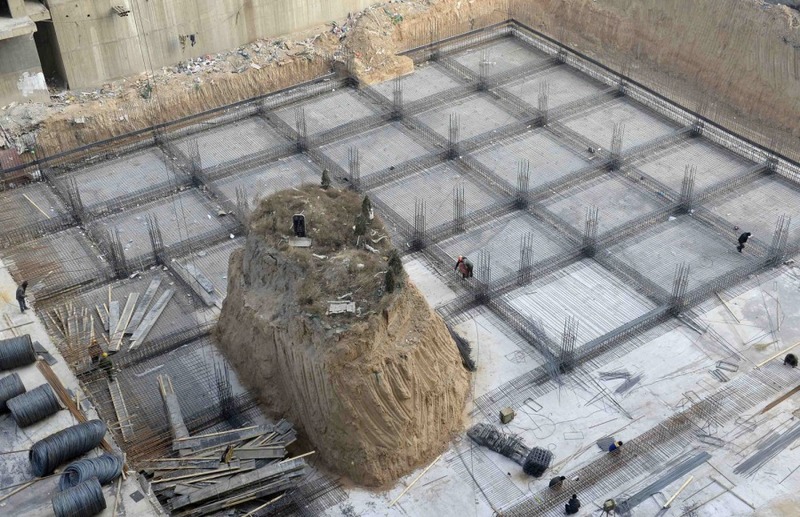 Workers lay the foundation for a residential complex around a solitary tomb site in Taiyuan, China's Shanxi province, Dec. 6. 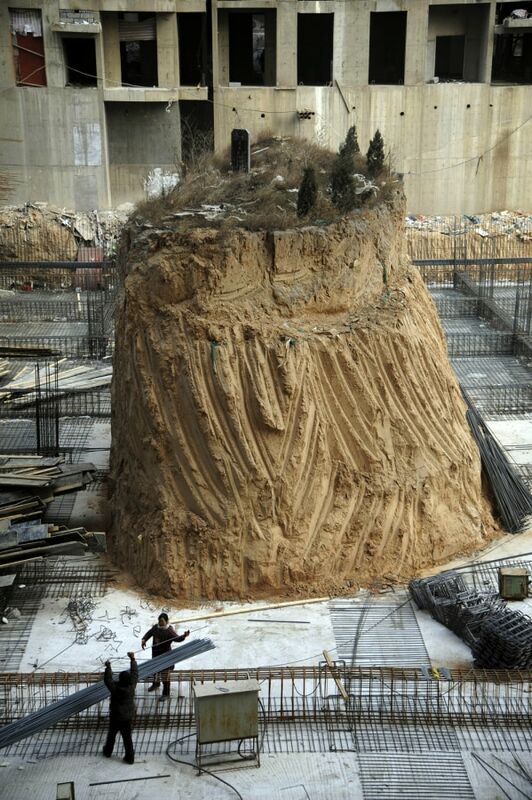 Workers lay the foundation for a residential complex around a solitary tomb site in Taiyuan, China, Dec. 6. An ancestral tomb, 33 feet high and about 30 square feet, on the construction site of a building in Taiyuan, Shanxi province, in China on Dec. 6. 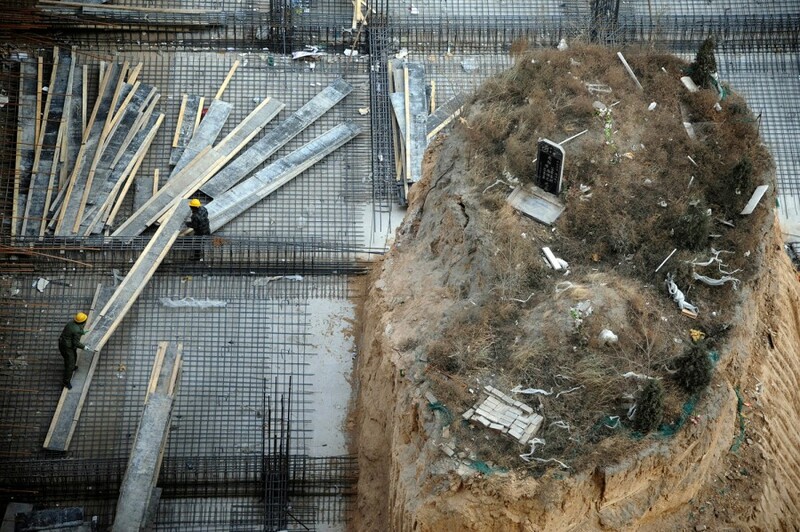 Developers bought a cemetery and paid villagers to relocate the remains of their loved ones. All except one. The grave has not been moved as the family is waiting for an auspicious date to do so and a reason from the developer for choosing this site, according to the owner of the tomb. The developers are now offering to pay nearly $160,000 to have it moved. The building is scheduled to be completed by April 2013, but for now, construction continues around the gravesite. 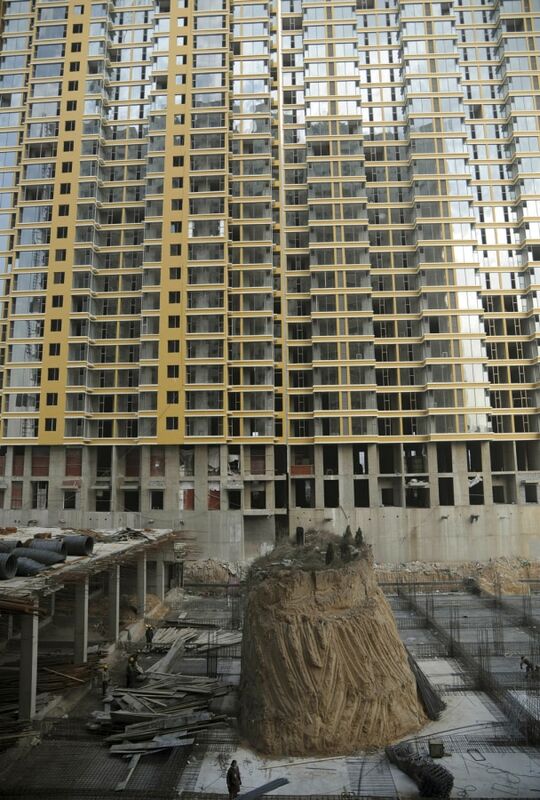 Last week a home in Zhejiang province, that had been sitting in the middle of a newly built highway as the owners held out for more money, was finally demolished.